The Last Straw Bottle Filler NEW! To bottle or to keg? An age-old question with no correct answer. Your choice depends entirely upon your own brewing habits and preferences. 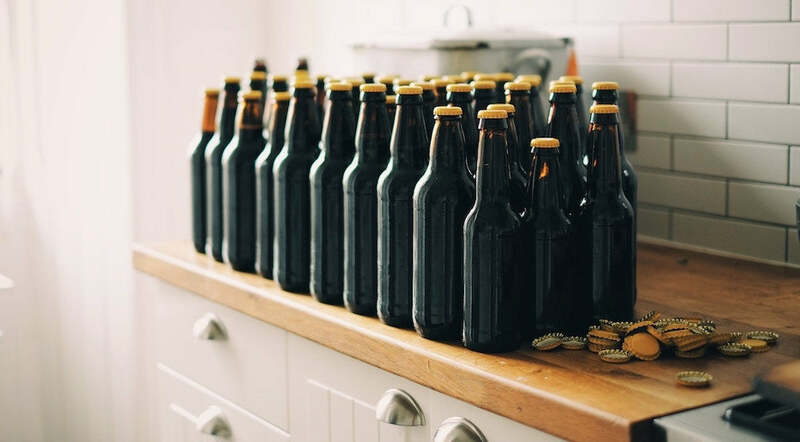 Bottling is exactly what its name suggests: siphoning your fermented beer straight into beer bottles and sealing them with steel caps. Almost everyone starts their homebrew career by bottling, though it is by no means a requirement. Space: Bottles take up less space than kegs. This aspect is particularly useful if you live in an apartment, or if your significant other doesn’t appreciate having half the house occupied by delicious beer. Price: Bottling costs less than kegging, plain and simple. Especially if the bottles come for free (like they do in our small batch starter kit!). 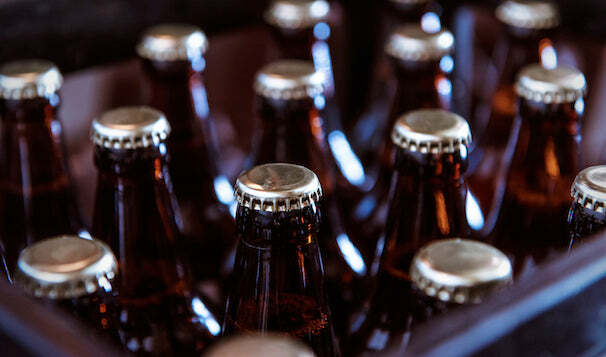 Time: When you bottle, you have to wait at least two weeks after sealing the caps before you can drink your beer. This time period allows the yeast to gobble up the priming sugar, giving your beer its satisfying fizz. Carbonation: In addition, because each bottle forms its own closed environment, carbonation can be inconsistent. One beer might seem flat, while another is so fizzy it practically comes out your nose. Sediment: This method creates an unavoidable layer of sediment at the bottom of each bottle. While completely harmless (to both the drinker and the quality of the beer), some brewers value the sediment-free pour that kegs offer. Headache: The actual process of bottling your beer is usually a brewer’s least-favorite activity. There’s no way around it. So, if you choose to bottle, grab a few friends, crank up the radio, and get to it. Kegs are not just the metal tankards with hand pumps that you did handstands on in college. Kegging takes a number of forms, including kegerators, keezers, modulars (pictured above), mini kegs… the list goes on. Time-saver: No more tedious sanitizing and capping! A keg is just one big bottle. Siphon in your entire batch and you’re ready to go. Carbonation: Why wait to drink your final product? Not only does the physical process of kegging fly by, carbonation takes as little as two days. Impressiveness Factor: If you think this isn’t a real factor, you’re lying to yourself. Inviting over a few friends and serving them your very own beer out of your very own keg is one of the coolest things a homebrewer can do. Environmental Impact: Two cases’ worth of beer bottles in the recycling bin, or reusable glasses in the dishwasher? If you’re watching your footprint with Mother Nature, kegging is the way to go. Space: A keg takes up a keg’s worth of space, which is not insignificant. Bottling is often more convenient to those who live in apartment-sized homes. That does not mean that it isn’t possible to keg in an apartment, however (just ask Brewmaster Jeff, who keeps a kegerator in his condo!). Price: Kegging requires additional equipment, which costs more money. However, you don’t need to buy top-line equipment. 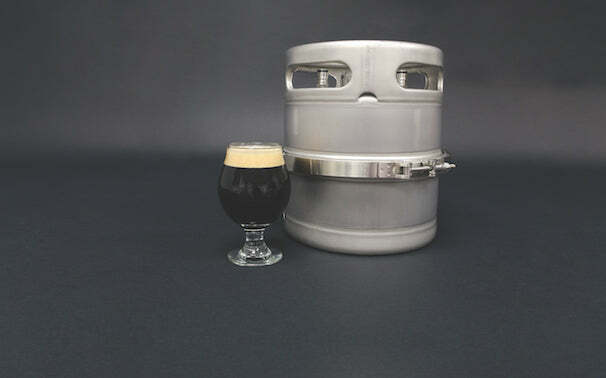 One of our favorite gadgets is the homemade Keezer, a kegging system made from a retired chest freezer. Check out how to build one here. If you're a new brewer and like the sound of kegging, our Master Brewer starter kit is the way to go. It includes everything you need to boot up your homebrewing career, plus a complete kegging set-up. Why purchase separately when you could save money by getting them both at once?